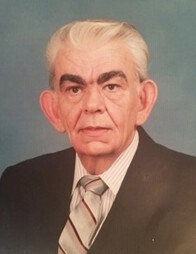 Jerry Palmer Kearns “Radar”, 82, of Lexington, North Carolina passed away on January 23, 2019 at High Point Medical Center in High Point, North Carolina. Jerry was born in Lexington to Lamar Othell Kearns of Denton and Byrdie Palmer of Lexington on April 23, 1936. He worked as a Tank Captain for PPG Fiberglass Industries. He was a veteran of the United States Air Force. Jerry loved to play piano and was an avid sports fan. Jerry is preceded in death by his parents, Lamar and Byrdie Kearns. Jerry is survived by son, Jerry Ross Kearns and wife Vina of Lexington; daughter, Holli Kearns Smith and husband Michael of Lexington; sister, Joan Clodfelter of Lexington; grandchildren Skye Crook and husband Jon of Lexington and Timmothy Kearns of Wake Forest; great-grandchildren, Cathryn Elizabeth Kearns and Meredith Paige Kearns.